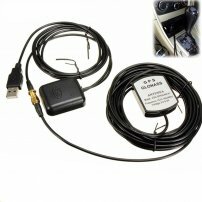 GPS Antenna Signal Repeater Amplifier for Mobile Phone navigator Car navigation [CAR005772] : Onchee.com - the accessory shop for all your handheld Electronics! Motorcycle handlebar(16-40mm dia.) Mount for Camera thread:1/4"